Courtesy of Jagex, all Legendary tier members get a key for this PCG-coloured beast. If you sign up to the PC Gamer Club Legendary tier, you can get yourself a bunch of free digital goodies. 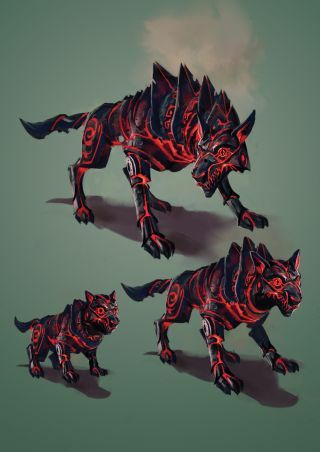 One of the highlights is a Fire Lycan pet for Runescape, originally provided to us back in 2017. By popular demand, though, and in collaboration with Jagex, we decided to offer the pet as a bonus for anyone who signs up to the Club at the $5 level. Note that this pet will only work in Runescape, and not Old School Runescape. When you sign up, you'll get instructions on exactly how to activate it. You'll get a few other bonuses for being a Legendary member, too, including two exclusive skins for Elite Dangerous ships, and each month you'll get our magazine sent to your digital device. Find out more here.